In a decision to defuse the tension between the Mamata Banerjee government and the Central Bureau of Investigation (CBI), the Supreme Court on Tuesday walked the middle path by ordering Kolkata Police Commissioner Rajeev Kumar to make himself "available" for questioning by the agency, which has in turn been barred from taking any coercive steps against the senior police officer, including his arrest. "We direct the Rajeev Kumar to appear and make himself available to the CBI and faithfully co-operate with the CBI at all times... No coercive steps, including arrest, should be taken against the Kolkata Police Commissioner," Chief Justice of India Ranjan Gogoi ordered as the head of a three-judge Bench. To avoid trouble or mud-slinging, the court went to the extra length of scheduling the meeting between Mr. Kumar and the CBI at "neutral" Shillong and not anywhere in West Bengal, least of all in politically-charged Kolkata, where Ms. Banerjee is still holding a dharna claiming the attempt to arrest of Mr. Kumar on January 3 night as an instance of high-handedness by the Narendra Modi government. The court, however, issued notice on a contempt petition filed by the CBI against the West Bengal Chief Secretary, DGP and Mr. Kumar. The court asked them to file their reply on or before February 18. If found necessary, the trio will have to be personally present in the Supreme Court on February 20, the next date of hearing. The case was taken up on priority basis by the court on Tuesday. Attorney-General K.K. Venugopal, appearing for the CBI, informed the court that Mr. Kumar was the "functional head" of the Special Investigation Team (SIT) formed by the West Bengal government which investigated the chit fund cases, including the multi-crore Saradha and Rose Valley scams, before they were transferred by the Supreme Court to the CBI on May 9, 2014. Mr. Venugopal said the chit fund scams were connected to powerful persons in the ruling Trinamool Congress (TMC) party. "We found that some of the documents handed over to the CBI by Mr. Kumar was doctored. They were not all there. We summoned him, but he did not come. We wrote the DGP, there was no response. The cell phone of Mr. Sudipto Sen [main accused in Saradha scam] was returned to him by the SIT. Call records were not complete. Discrepancies were seen in the number of calls. Information on who called and to whom are missing... The call records were doctored," Mr. Venugopal submitted. 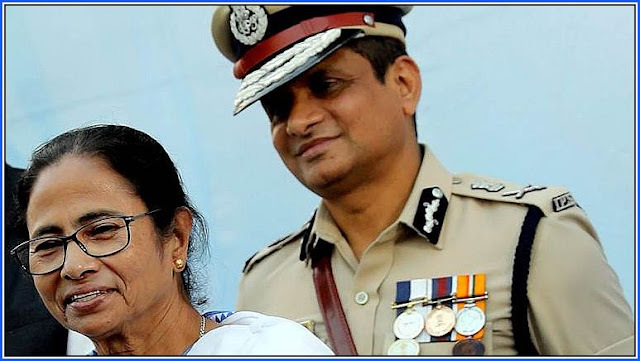 Reacting to this, Chief Justice Gogoi observed orally that "there should be no difficulty for the Kolkata Police Commissioner Rajeev Kumar to co-operate". "Yes, that is all we want," Mr. Venugopal said. Mr. Venugopal said the CBI has also filed a contempt petition. The charges made in it are "far more serious". Pushing for the court to take immediate cognisance, Mr. Venugopal described how the CBI officers were "pushed around, bundled into a bus and illegally confined in a police station for hours. The Joint Director's house was laid siege". "On whose orders were the police acting on? Who is behind all this?" the Attorney-General asked. Solicitor-General Tushar Mehta added that CBI officers have been harassed by the local police ever since they took over the probe. He said Calcutta High Court had not given Mr. Kumar any protection. Senior advocate A.M. Singhvi countered that an attempt was under way to humiliate Mr. Kumar. The "secret operation" happened on the last day in office of interim CBI Director M. Nageshwar Rao. "What is the problem in co-operation with the CBI? Besides, none of you parties have any effect on us. We will direct the Police Commissioner to make himself available... We will issue contempt notice," said Chief Justice Gogoi.